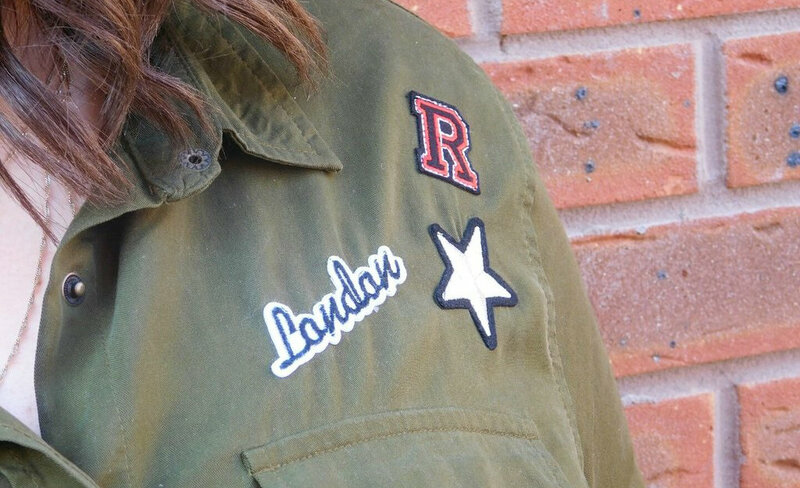 Badges or patches, whatever you call them are an interesting but easy trend. Working best on casual items - jeans, t-shirts/shirts and the SS16 must have, the bomber jacket but would also look amazing on a more girly piece like a dress, balancing out the feminine. 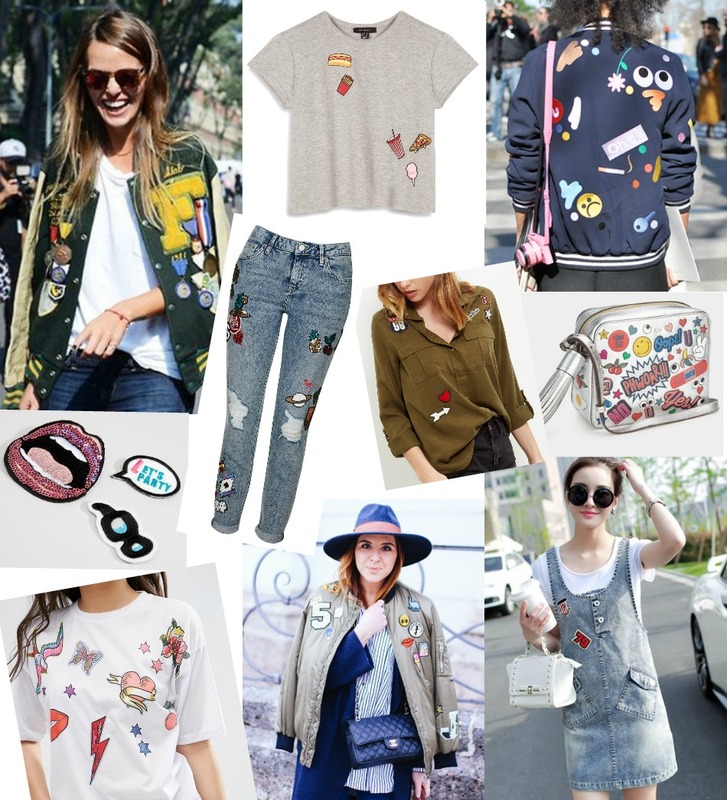 This is also the perfect trend to work some DIY magic on and update/revitalise an old favourite in your wardrobe, just pick up a pack of badges from your local haberdashery or head to ASOS / New Look for a cute multi pack - and remember the sparklier, the better. I chose to embrace badges with a soft khaki utility shirt, simple but stylish, teamed with jeans and wedges. I have rounded up my favourite street style images (all from my Fashion Week ♡ board) and my top picks for embracing the badge trend, all highstreet except one cheeky little designer piece. Especially loving the boyfriend jeans - although be warned they do have a giant sparkly jackpot writtenacross the bum but it would be easy to remove. The one note i will add is these are all statement pieces so keep the rest of your outfit simple. Are you a badge fan? Which item would you choose to rock this trend on?